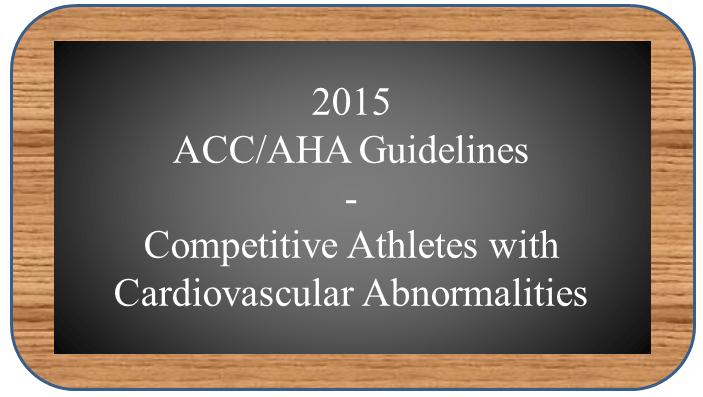 The American College of Cardiology (ACC) and American Heart Association (AHA) have recently released a Scientific Statement on “Eligibility and Disqualification Recommendations for Competitive Athletes with Cardiovascular Abnormalities: Preamble, Principles, and General Considerations.” This 2015 edition is an update for the previous guidelines that were published as Proceedings from the 36th Bethesda Conference in 2005. The new Guidelines were assembled by a large group of experts who were organized into 15 task forces. Each of these task forces considered the current scientific evidence, graded the evidence, and reached consensus conclusions about recommendations that could be supported. As such, this collection of recommendations represents the best available consensus expert opinion today in the United States. It’s important to know that there is also a similar set of guidelines developed by the cardiology community in Europe. There are differences between the ACC/AHA and European recommendations that often stem from legitimate differences of opinion. 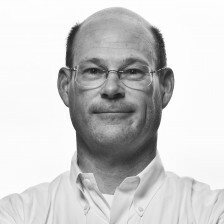 It is also important to remember that the new ACC/AHA guidelines are targeted toward the young “competitive athlete.” The authors define such an athlete as one “who participates in an organized team or individual sport that requires regular competition against others as a central component, places a high premium on excellence and achievement, and requires some form of systematic (and usually intense) training.” As such, these guidelines are targeted primarily at student athletes of high school and college age (up through 25 years). That said, the various recommendations may well be applicable to other athletes, including: young but non-competitive athletes; older competitive athletes; and adult recreational athletes or exercisers. Particular judgment must be used by physicians and athletes when extending the recommendations beyond the intended target population. The new guidelines are some 115 pages long. It’s not my intention to summarize things succinctly here in a blog post, but I thought it would be useful to point out what’s new….and what caught my attention in each of the 15 sections…. There is now a refinement of the former categorization of sports according to their “static” and “dynamic” components. A new summary chart still uses the former I-II-III (static) and A-B-C (dynamic) scheme, but recognizes that there is actually a continuum along each axis. In addition, a new table provides a useful categorization of sports according to their risk of impact, both at the junior high school and high school/college levels. New recommendations for athletes taking various forms of anticoagulant medications caution against activities where impact injuries may be expected. Preparticipation screening is widely applied in the United States for school-based athletic programs. Controversy remains, though, about the effectiveness of history and physical examination alone for identifying serious cardiovascular abnormalities. This Task Force continues to endorse the AHA 14-point screening guidelines or those of the American Academy of Pediatrics Preparticipation Physical Examination, suggesting particular value in standardization of questionnaire forms used. The new guidelines suggest that the use of ECG in addition to history and physical examination may be appropriate in “relatively small cohorts” of young athletes, where physician expertise is available for counseling and follow-up of test results. Mandatory screening with ECG is not recommended in young athletes or non-athletes. The Task Force recognizes the heterogeneity of disease among athletes with hypertrophic cardiomyopathy (HCM) and advises that judgment is needed in the application of the recommendations in specific situations. New from 2005, the guidelines now recognize that athletes with genotype-positive, phenotype-negative HCM (ie, carrying a gene but no overt manifestation[s] of the disease [yet]), and particularly if there is no family history of HCM-related sudden cardiac death, may participate in athletics. The new guidelines advise against the use of pharmacologic agents or an implantable cardioverter-defibrillator (ICD) solely to facilitate participation in sports. There are no major changes in the recommendations regarding ARVC, other cardiomyopathies, myocarditis, or pericarditis. There is a very long list of conditions that, together, constitute “congenital heart disease.” These are inherited conditions that usually manifest during childhood, but sometimes these conditions may remain unrecognized until adulthood. Exercise prescriptions are very specific to the particular condition, but the Task Force recognizes that many athletes with “corrected” congenital heart disease may participate fully. Compared with 2005, the new recommendations remain similar or unchanged for: atrial septal defect (ASD), ventricular septal defect (VSD), patent ductus arteriosus (PDA), pulmonary valve stenosis, aortic valve stenosis, coarctation of the aorta, elevated pulmonary vascular resistance (PVR), ventricular dysfunction after surgery for congenital heart disease, cyanotic heart disease including Tetralogy of Fallot, and Ebstein’s anomaly. The new guidelines now provide greater detail in the recommendations for patients with transposition of the great arteries (TGA) treated by either atrial switch (eg, Mustard procedure, Senning procedure) or by more contemporary arterial switch operations. In the area of coronary artery anomalies, additional evidence and experience now allows for recommendations for various subsets of patients, including those who have had surgical correction. The 4 most common valve problems are aortic stenosis (AS), aortic regurgitation (AR), mitral stenosis (MS), and mitral regurgitation (MR). In many respects, the new guidelines parallel the former guidelines. The new guidelines specifically recommend that athletes with these conditions, even if mild, should be evaluated yearly to determine whether sports participation can continue safely. A new recommendation is offered for athletes with severe AR and normal left ventricular dimensions and function; it may be reasonable for these athletes to participate fully if they have normal exercise tolerance and echocardiography shows no progression of ventricular size or dysfunction. MS is probably the least common of these valve conditions. The new recommendations suggest that exercise testing to the anticipated level of sports activity may be useful in patients with MS to ensure that no symptoms develop. The recommendations specifically recommend only low-intensity activities for those with severe MS, but most of these individuals would probably best be treated with valve repair or replacement. Exercise testing is also recommended for asymptomatic patients with MR, again to the anticipated level of sports activity. For those patients who have undergone operative procedures for valve repair or replacement, the guidelines make the important point that decisions about future participation in sports activities be made together, by both athlete and physician(s). The new guidelines recommend that athletes with sustained hypertension undergo screening echocardiography. For those with left ventricular hypertrophy (LVH) beyond what might be expected from “athlete’s heart,” activities should be curtailed until the hypertension is controlled. The guidelines also remind athletes and treating physicians that some medications used for the treatment of hypertension (eg, beta-blockers, diuretics) are considered banned substances by some sports governing bodies. Athletes should be aware that a therapeutic use exemption (TUE) may be required for participation, both outside and during competition. There was a separate Task Force that reported on the collection of aortic diseases in the new guidelines. In the previous version of the guidelines, these conditions were parceled out among the other task forces. The new organization is helpful because all of the pertinent recommendations can easily be found in one place. Particular mention is made of the importance that aortic size (eg, diameter) be considered in the context of the athlete’s size (eg, age, gender, body surface area). In many circumstances, use of a z-score–the number of standard deviations above/below the mean for a size- or age-specific population–may be more appropriate than absolute measurements alone. Athletes with Marfan syndrome or any of the other connective tissue disorders that affect the aorta (eg, Loeys-Dietz syndrome, Ehlers-Danlos syndrome, familial thoracic aortic aneurysm and dissection [TAAD] syndrome) should receive frequent reevaluation with echocardiogram, computed tomography (CT), and/or magnetic resonance imaging (MRI). The recommendations regarding safe levels of activity parallel the previous guidelines. For athletes with bicuspid aortic valve (BAV), the new guidelines focus on z-scores to define the degree of aortic enlargement: not enlarged, z-score < 2; mild enlargement, z-score 2 to 2.5; moderate enlargement, z-score 2.5 to 3.5; severe enlargement, z-score >3.5. Athletes with mild enlargement of the aorta should be confined to low-and moderate-intensity static and dynamic sports that do not have a likelihood of bodily injury. In this group, intense weight training should be avoided. Athletes with moderate enlargement of the aorta should participate in only low-intensity sports that do not have a likelihood of bodily injury. And finally, those with a severely enlarged aorta should not participate in competitive sports. We think of coronary artery disease (CAD) as a disease of older individuals, but there are sometimes young athletes with acquired diseases of the coronary arteries. One important aspect of the new guidelines in the area of coronary artery disease is the recommendation that athletes should participate in decisions about safe exercise with their physician(s), taking into consideration the health and psychological benefits of exercise as well as any potential risks. The new guidelines are explicit that asymptomatic athletes with known CAD but with normal LV function and no inducible problems with stress testing should be able to participate fully in their sports. For those who have had myocardial infarction (MI) or coronary revascularization procedure (eg, coronary artery bypass grafting [CABG] or coronary stenting), participation in sports activities should be curtailed for a period of 3 months. A new section is devoted to the problem of spontaneous coronary artery dissection, a condition where a tear develops in the inner wall of the coronary artery itself, without warning and seemingly without explanation. The new guidelines recognize that there is not yet sufficient experience and evidence with this problem to formulate specific recommendations, but that it may be reasonable to restrict affected athletes from high-intensity sports. Also new in these guidelines is a section devoted to heart transplant recipients. The guidelines recognize that for many such patients, participation in sports activities can be safe, especially if there is annual stress testing designed to demonstrate the safety of exercise up to the level of exertion that is anticipated during sports activities. The section on athletes with arrhythmias is the longest and most complicated section of the new guidelines, in part because there are many different arrhythmias to consider. This is an area where particular expertise on the part of the physician is required to make sound judgments about participation. The recommendations suggest that athletes with permanent pacemakers can participate fully in sports if there is no limiting underlying heart condition or symptoms. Those who are pacemaker-dependent (ie, require the pacemaker continuously to generate the heartbeat) should avoid sports in which a risk of collision might result in damage to the pacemaker system. All others with a pacemaker should recognize the inherent risks of bodily injury that might also damage the pacemaker. Atrial fibrillation (AF) deserves special mention because it is so common. For athletes with AF, the new guidelines recommend evaluation that includes thyroid function tests, queries for drug use, an ECG, and an echocardiogram. The new guidelines remind us that athletes with well-tolerated and low-risk AF may participate fully. Those who are taking anticoagulants other than aspirin alone should consider the bleeding risk in deciding which sports activities may be safe. Finally, the new guidelines recognize that catheter ablation for AF might eliminate the need for medications and should be considered in athlete patients. The new guidelines suggest a similar evaluation for patient with atrial flutter. For this condition, catheter ablation has a high likelihood of success and should be considered. For athletes with SVT (eg, AV nodal reentry tachycardia, AV reciprocating tachycardia, atrial tachycardia), catheter ablation should be considered. For athletes with ventricular arrhythmias (eg, premature ventricular contractions [PVC’s], non-sustained ventricular tachycardia [VT], sustained VT, or ventricular fibrillation), careful evaluation for underlying structural heart disease. The algorithms for determining safe levels of exercise are complex and athletes should seek expert guidance. The new guidelines have a new section on syncope, the problem of blacking out unexpectedly. Athletes with exercise-induced syncope should be excluded from sports activities until a full evaluation is completed. Cardiac causes of syncope can sometimes be life-threatening. If the cause of syncope is determined to be neurally mediated, athletes can resume all sports activities once treatment measures are shown to be effective. If no cause for the syncope can be determined, athletes should not participate in sports activities in which a transient loss of consciousness might result in serious bodily injury. The final new section relates to athletes who have an implanted internal cardioverter-defibrillator (ICD). The guidelines recommend that the indications for ICD implantation be no different for athletes and non-athletes. In particular, an ICD should not be implanted solely to allow participation in sports. For athletes with an ICD who have no episodes of ventricular arrhythmias that necessitate device defibrillation for a period of 3 months, participation in low-intensity sports activities may be reasonable. Decisions about participation in sports activities with higher degrees of intensity, though, should consider the possibilities of greater likelihood of inappropriate shocks or device dislodgement with contact sports. The new guidelines include the recommendations from a new Task Force devoted to the cardiac channelopathies. These disorders are typically characterized by a structurally normal heart but a predisposition to develop syncope, seizures, or cardiac arrest from VT or VF. At a cellular level, these disorders are caused by abnormalities in various ion channels in cardiac muscle cells that ordinarily permit the coordinated ebb and flow of charged ions with each heartbeat. Approximately 1 per 1,000 individuals is affected by such conditions. The most common types are long QT syndrome (LQTS), catecholaminergic polymorphic ventricular tachycardia (CPVT), Brugada syndrome (BrS), early repolarization syndrome, short QT syndrome, and possibly idiopathic VF. Historically, athletes with any channelopathy have been restricted from sports activities of all types because of the potential risk of sudden death. Since the 2005 guidelines, though, much has been learned about the genetics, clinical manifestations, and course of these disorders. It is now thought that some affected athletes may participate safely in sports activities. The key, though, is careful evaluation by a cardiologist who specializes in heart rhythm disorders or by a genetic cardiologist. Not surprisingly, the guidelines contain the recommendation that athletes meet their nutritional needs through a healthy, balanced diet without dietary supplements. The guidelines further recommend that the use of performance-enhancing drugs (PEDs) and supplements be prohibited by schools, universities, and other sponsoring organizations as a condition for participation. The guidelines suggest the use of the principle of “unreasonable risk” (the potential for risk in the absence of defined benefit) as the standard for banning or recommending avoidance of substances being evaluated for use by athletes. Importantly, the guidelines recommend that athletes receive formal education about the potential risks of PEDs and supplements, including the specific risks of sudden death and acute myocardial infarction. The new guidelines include the recommendation that schools and other organizations that host athletic events have an emergency action plan that includes provision of basic life support (BLS), the use of an automatic external defibrillator (AED), and activation of the emergency medical system (EMS). Coaches and athletic trainers should be trained in CPR and the use of an AED and the AED should be available within 5 minutes, if needed. Commotio cordis is an unusual event, but t is important for coaches, athletes, and officials to be aware of this possibility and be prepared to respond to a lifeless victim. Prompt initiation of bystander CPR and early defibrillation are the keys to survival. A section devoted to sickle cell trait (SCT) is included in the new guidelines. Although athletes with SCT may participate fully in their sports, the guidelines recommend strategies such as adequate rest and hydration to reduce the likelihood of an event occurring during sports participation. This risk is greatest during periods of high environmental temperature or extreme altitude. The section of the new guidelines devoted to legal aspects considers the various conflicts that may arise when the guidelines are put into practice.